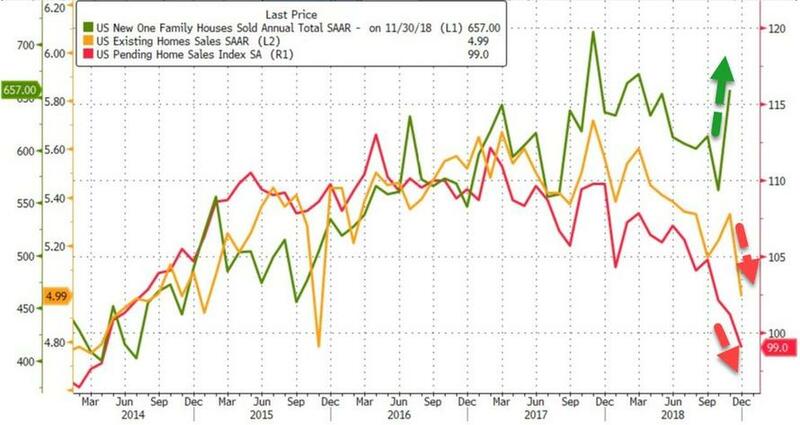 After calamitous declines in December's Existing- and Pending-Home Sales, and Case-Shiller's report that home price gains are the weakest in four years, New-home sales were (like the others) expected to rebound in November (delayed due to the shutdown)... and they did, massively. Against expectations of a 4.8% rebound from October's 8.9% plunge, November printed a surprising 16.9% MoM surge in new home sales...the biggest MoM rise since Jan 1992. So what happens next? Does November's surge collapse like December's did for pending and existing sales?